“The fuel subsidy was N300 billion under former President Olusegun Obasanjo and it remained the same under late President Yar’Adua. Within 6 months under President Jonathan, the fuel subsidy rose from N300 billion to N1.9 trillion. Yet, Jonathan wanted more money for fuel subsidy. “Is it that the country now doubled its population or bought more machines or started manufacturing? As chairman of Governors Forum, I was in a position to get my share of the N1.9 trillion but I chose the part of honesty and truth, you cannot catch me being dishonest. “There was a time I walked into a meeting with the president (Goodluck Jonathan) and at the meeting, the argument was that they wanted more money for oil subsidy. As the chairman of Governors Forum, I stood my ground and told the president I was not going to support that. “He asked me why and I explained that we were already in court on the issue of fuel subsidy. The president abused the hell out of my life. I have huge respect for the president, but the only thing that made me disagree with him was on the issue of the management of the country’s treasury. “I told the president then that those who were accusing me of being anti South South will come out and tell the world the development that has happened to the South South under his presidency. The president confirmed it himself during the campaign that he has done nothing, he said: “I know I’ve done nothing but if you vote for me, I’ll do…” so I call him I’ll do president. 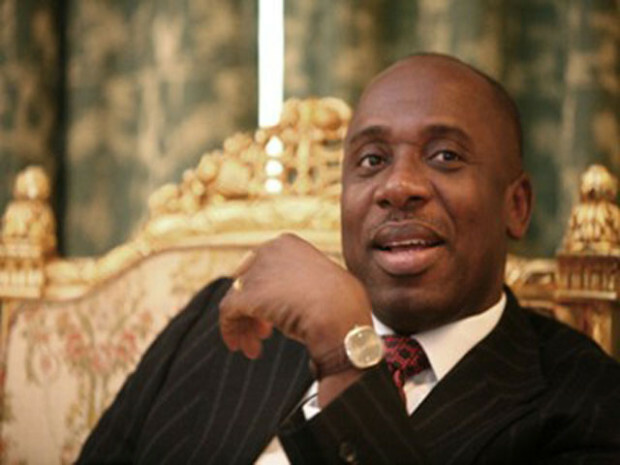 “This prompted the trouble between me and the Jonathan administration.”Recalling his face-off with Jonathan, he stated that the genesis of their differences dated back when the former president reduced the allocation due to Rivers State from N20 billion to paltry N6 billion, adding that he never worked against the South South zone. He alleged that the current government of his state under Governor Nyesom Wike was working against him being appointed a Minister on the grounds that he would determine the course of the state politics. “Some people will say I betrayed the South South, I have no word for betrayal. May God not give me the ambition the current governor of Rivers State has, he can sell anybody. God should rather put me to death than to have an ambition to sell this country. “The current governor of Rivers State and Peoples Democratic Party, PDP are afraid of me getting appointment at the national level, because that will determine the politics of Rivers State. They know that the current president abhors corruption and the only way to stop me from getting appointment is to paint that picture of corruption. Tomatoes And Garri Now More Expensive Since Fuel Subsidy Removal?